Carl Icahn made $1.4 billion trading in Las Vegas casino assets, according to Forbes. Casino mogul Carl Icahn defended himself from charges by the Project on Government Oversight of insider trading after he sold $31 million in Manitowoc Co. shares a couple of weeks before President Donand Trump suggested he would impose a 25% steel tariff. Because of its industrial use of steel, a tariff was certain to sent Manitowoc stock into a tumble. As a decades-long friend and recent regulatory advisor to President Trump, critics suggested that Carl Icahn knew prior to the announcement that the US government would impose a stiff tariff on steel and aluminum. The charges come amidst lingering skepticism about Carl Icahn’s previous dealings with the current administration. The activist investor left his 8-month role as Trump’s special regulatory advisor in August 2017, after it was noted that the regulatory reforms Icahn was promoting would make the billionaire hundreds of millions of dollars in revenues. At first glance, the sell of Manitowoc shares raised suspicions. 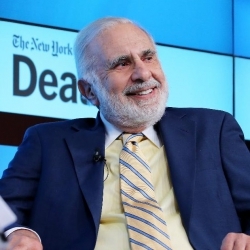 Carl Icahn had owned the shares for years, so the selloff of an investment 10 or so business days before a major, yet unpredictable, tariff imposition raised eyebrows of economic analysts and political pundits alike. On March 5, the Project on Government Oversight sent a letter to the Securities and Exchange Commission, asking the SEC to look into the Manitowoc sale as suspicious. After Donald Trump announced the 25% steel tariff, Manitowoc shares dropped 5.25% over several days. Carl Icahn had been the second-largest investor in Manitowoc before his divestment. The divestment could be a coincidence. Donald Trump said multiple times during the 2016 US presidential campaign that he might impose a tariff on various products and commodities, in order to protect American businesses. Trump called out China’s protectionist policies many times on the campaign trail, claiming he the US-China trade relationship was not true “free trade”, because China imposed one-sided trade barriers. Since he became president, President Trump has criticized China, Japan, the European Union, Mexico, and even Canada for trade policies that were to the disadvantage of US businesses. In those circumstances, an investor might have read the tea leaves and decided it was time to sell Manitowoc Co. stocks — or shares of any company impacted by the steel industry. The Wisconsin-based Manitowoc Co. is one of the world’s largest crane manufacturers. Like auto manufacturers, the company would be hugely impacted by a steel tariff. The vastness of Carl Icahn’s portfolio is another argument in the investor’s defense. While it might seem coincidental that Icahn might sell stocks shortly before the tariff was announced, Icahn has a highly diversified porfolio of stocks. Shares are bought and sold with frequency, so the odds might be stacked in favor of suspicious trading activity, due to the sheer variety of trades in the normal business cycle. Critics would charge that anyone with contacts to the White House economic advisory staff would know a tariff was being discussed. After Trump announced his intention to impose a 25% tariff on steel and 10% tariff on aluminum, journalists reported that an ongoing debate had been ongoing in the White House. On one side, former Goldman Sachs CEO Gary Cohn, the current director of the National Economic Council, has been championing free trade policies. On the other side, Commerce Secretary Wilbur Ross and White House National Trade Council director Peter Navarro have called for protectionist policies, including the imposition of selected tariffs. President Trump’s announcement came as a shock to White House officials and Wall Street firms, but the shock at the White House had to do with timing. Reports suggested that officials were working on policies in the works, though it was expected to be a couple of weeks before they were detailed enough to announce to the public. Since officials at the National Economic Council, the White House National Trade Council, and the Department of Commerce would have been working on those policies, a significant number of people would have had inside knowledge that a steel tariff would be in the works. Like Gary Cohn and Wilbur Ross, many of the people working on those policy proposals have deep ties to the New York financial system. While no one has made a suggestion that Carl Icahn received information from one of those people, all it would take is one person out of the dozens working on the policy to have an off-the-record discussion with an investor like Carl Icahn for insider knowledge to be communicated. Carl Icahn has been the owner of the Tropicana Atlantic City hotel and resort in Atlantic City. From 2015 to 2017, Carl Icahn was the owner of the Trump Taj Mahal in Atlantic City, though he sold the casino to Hard Rock International roughly a year ago. When he assumed control of the Trump Taj Mahal in a bankruptcy auction, Carl Icahn was praised by Donald and Ivanka Trump as an old family friend who would turn the business around. In 2010, Carl Icahn bought the unfinished Fontainebleau Las Vegas for $150 million. In early 2018, Icahn sold the Las Vegas Strip project to the Witkoff Group for $600 million. In June 2017, he sold the Stratosphere to Gold Entertainment for $850 million. As a major investor, Carl Icahn is likely to have shares of operating casinos in his portfolio at any given time.